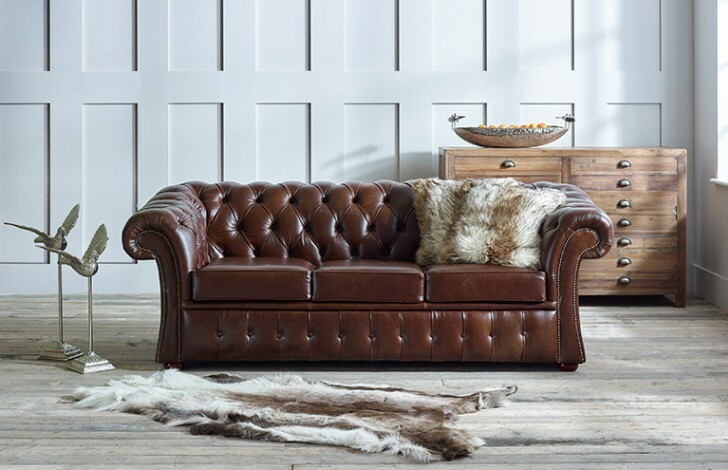 This Traditional Leather Sofa would add a touch of elegance to any home. 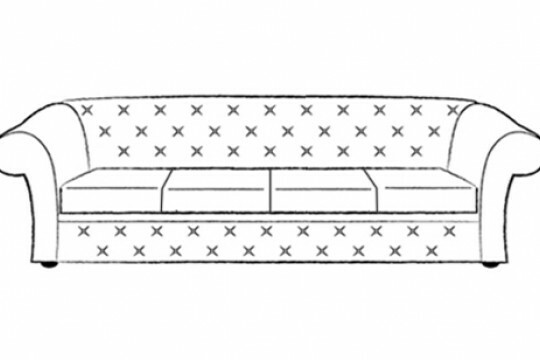 This traditional leather sofa has been designed and manufactured by our team of experts in our Manchester factory. 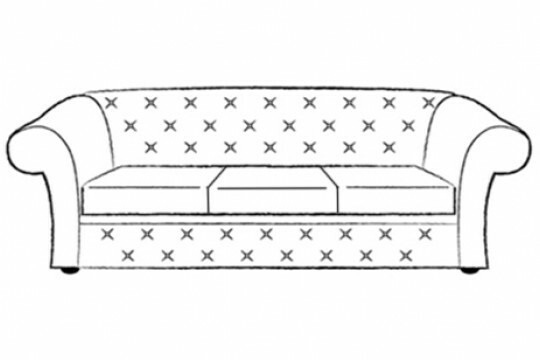 Using only the highest quality materials our highly skilled craftsmen have taken special care and attention when manufacturing your sofa to ensure that your sofa is delivered to you in prime condition and will remain a beautifully designed piece of furniture in your home for many years to come. 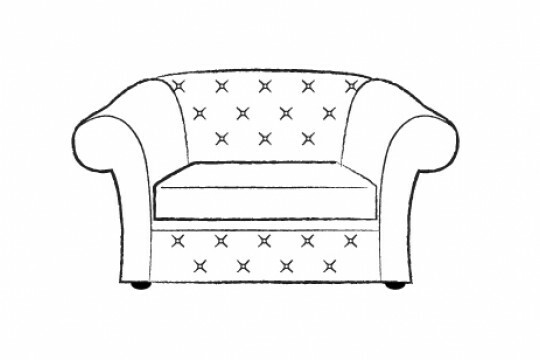 We offer over 50 beautiful leathers with a range of distinctive features to ensure that whatever your needs and preferences are we have a leather to suit you. 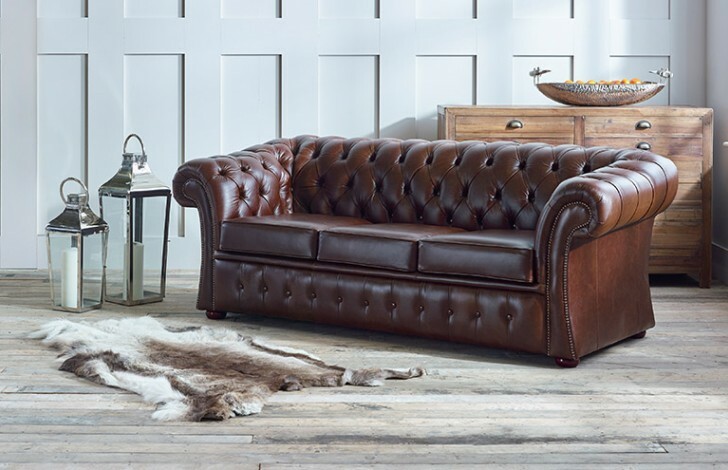 From hardwearing corrected grain leathers, which are ideal for families, or a high shine premium aniline leather that looks great amongst both modern and vintage accessories, we strive to find something that’s perfect for you. 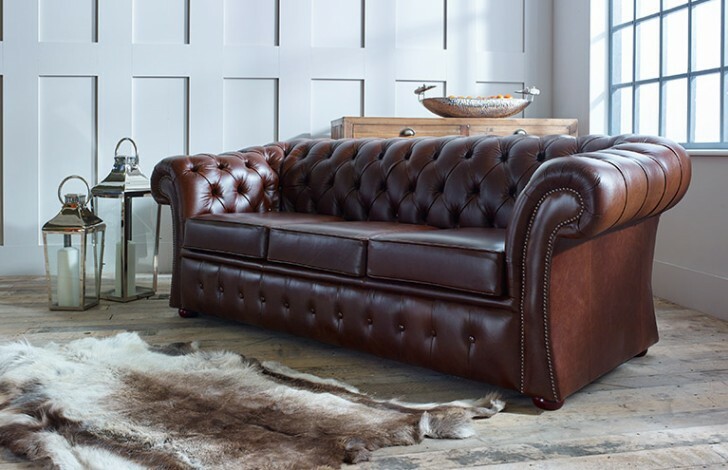 Give our team a call on 0161 737 1600 today and ask for more advice about the leathers we have available and any other questions you may have about the Gladbury traditional leather sofa. They can also help you to take advantage of our free swatch service that allows up to 6 swatches to be delivered directly to your door. 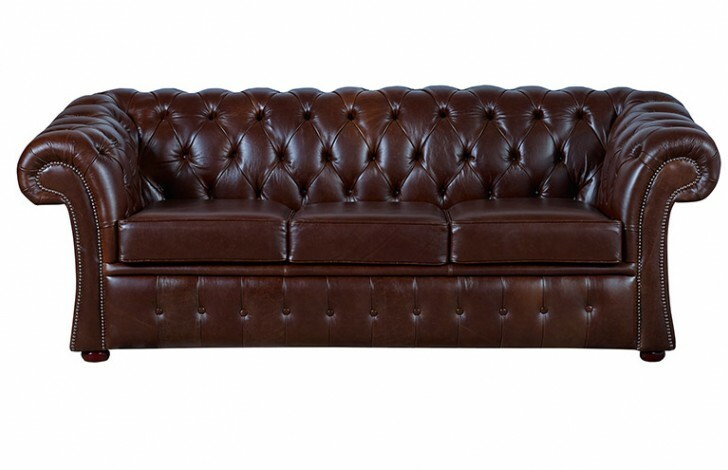 Ordered this suite in premium aniline in black/ebony heritage. 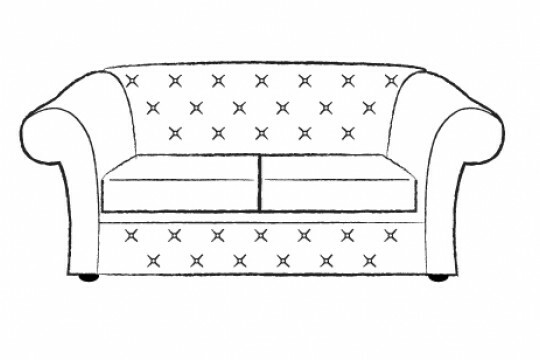 Really pleased with craftmanship of 3 seater sofa ( opted for 2 large cushions to modernise the look) and the club chair. Only took 4 weeks to receive and special thanks to Kim who dealt with a couple of queries I had. 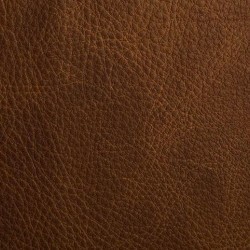 Lovely soft leather and very comfy.